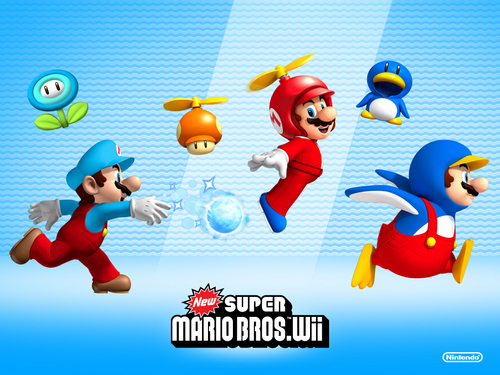 Hi New Super Mario Bros Wii is my best Wii Game. I'm on World 2-2 I can't finish this level so write me a cheet or a compliment if you have a answer but New Super Mario Bros Wii is my favorite video game ever. i am up to the same thing! I love this game and all the power ups they have.Did you see the new power ups... WirlyBird,Ice,and Small?